Get this straight, everyone: Climate change is real. And no amount of spin will change that. Get this straight, everyone: Climate change is real. The Earth is warming. There is no doubt that we have plenty to do with it because of the way we live, burning fuels that spew out pollution. And no amount of spin will change that. Yet, some urban myths just won’t die. In a recent issue of the Cedar Rapids Gazette, a couple of climate change deniers tell us that “global warming actually stopped 17 years ago.” Give me a break. 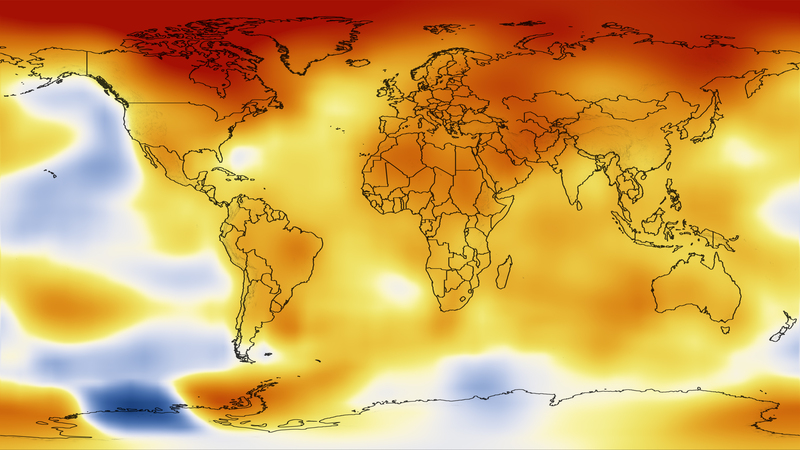 NASA scientists say 2012 was the ninth warmest of any year since 1880, continuing a long-term trend of rising global temperatures. With the exception of 1998, the nine warmest years in the 132-year record all have occurred since 2000, with 2010 and 2005 ranking as the hottest years on record. The latest credible information has 2013 probably coming in as the fourth-warmest year. How does that square with global warming stopping 17 years ago? A bunch of organizations exist to say global warming is a myth. Unfortunately they and a few people like them are keeping the United States from confronting this huge global issue with policy that pushes renewable energy and energy efficiency. Please consider the source. The climate is changing very quickly and humans are most likely doing most of it by burning coal and oil and other fossil fuel. Ignore the skeptics. We need to get after this problem. Previous Previous post: A minimum wage increase for Iowa?